Any observer of the European political scene will be aware that the UK has what’s best described as a semi-detached attitude to the European Union. So, it comes as little surprise that the debate over European data protection is, once again, the UK versus the rest of Europe. The issue of data protection is a thorny one for the continent’s lawmakers. 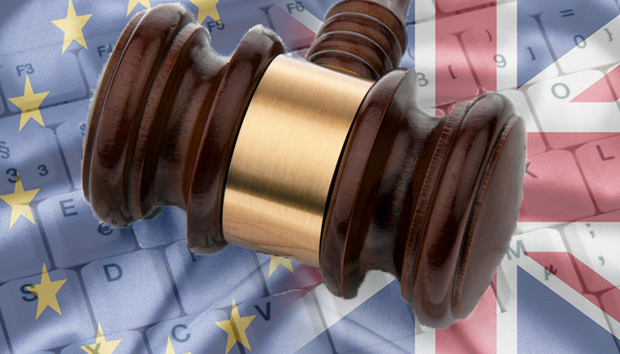 The EU announced a draft framework for data protection in January 2014. This was aimed at replacing the existing Data Protection Directive. Rather crucially, the new proposals change the legal basis: a directive has to be interpreted by national governments, who then pass legislation; a regulation means that there’s no need for national laws to be passed. Much of the debate has centred on how much protection should be given to consumers. And it’s here that there’s the gap between the UK and the rest of Europe. The UK generally favours a softly-softly approach, a more business-friendly ideal. The opposing view is led by Germany, a country with a traditional hard line on data privacy – this, after all, is the country that put limitations on Google when it came to mapping the world. Commenting on the Council’s progress, Andrea Orlando, Italian Minister for Justice and President of the Council, said: "Today we have agreed on two of the most politically sensitive issues on data protection reform. We see this as an important result for the Presidency, and a decisive step towards achieving global agreement on this complex and important file." Ward adds we’ve already seen some of the skirmishes that this attitude has led to. Wary of the implications of the court decision, Microsoft has garnered a lot of support from other IT companies. In preparing its latest appeal, the company revealed in December that it had letters of support from 28 companies in its case. Microsoft’s travails reveal how thorny the issue of international law is and what a struggle it has been to get agreement across the friendlier countries of Europe. Ultimately, the stakes are high. The aim of the new regulation will be far tougher on organisations and their need to protect individuals’ privacy and the law-makers won’t want to miss an opportunity to implement a law with teeth. The proposed new legislation will mean that organisations will no longer be careless as to where data is being held within the organisation or how it’s being processed. Not only that, it will no longer be enough to leave computer security to the CIO or the CISO, business leaders themselves will be held liable if there’s any breach of privacy. And, here’s the sting: the penalties will hurt. The regulation proposes fines of up to two percent of global turnover or a million euros; a considerable increase over the current levels. At the moment, much of the debate over European data protection law has been confined to the closed circle of international lawyers, but when it comes into force, there will be an urgent need for businesses to tighten their processes or face the consequences. If not, there will be a heavy price to pay. And then it won’t be such an arcane discussion after all. « Why did Google choose Puerto Rico for its modular phones?